“We Didn’t Start the Fire” – When Jackson throws a party to celebrate Catherine’s surgery and those who worked to save her, literally nothing goes as planned. 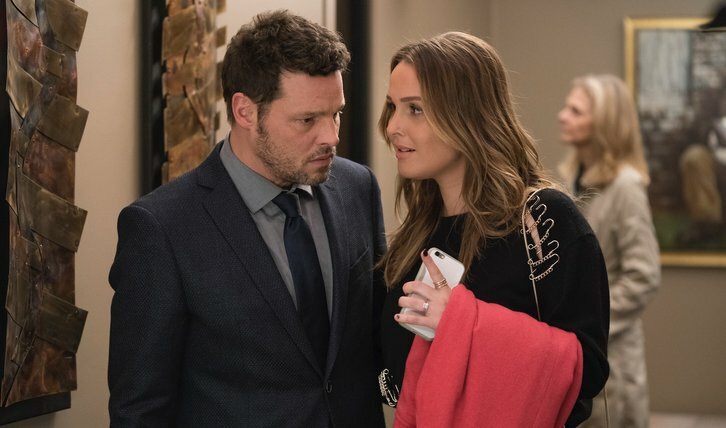 Meanwhile, Helen pays Alex and Jo a surprise visit on a record-breaking episode of “Grey’s Anatomy,” THURSDAY, FEB. 28 (8:00-9:01 p.m. EST), on The ABC Television Network, streaming and on demand. Guest starring is Jennifer Grey as Carol Dickinson, Jason George as Ben Warren, Lindsay Wagner as Helen Karev, Debbie Allen as Catherine Fox, Greg Germann as Tom Koracick, Peyton Kennedy as Betty Nelson and Jaicy Elliot as Taryn Helm. “We Didn’t Start the Fire” was written by Andy Reaser and directed by Chandra Wilson.